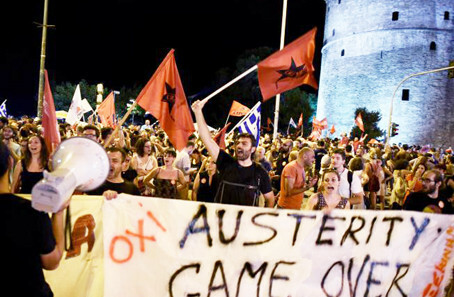 In light of the crisis of the PT (Worker’s Party, which currently holds the Presidency) and in order for the current economic and political crisis not to be capitalized on by the right-wing, it is necessary to fight for a class-based, revolutionary way out. We must fight for a way to organize the working class and the youth that are beginning to experience government cuts and are looking for a political alternative. 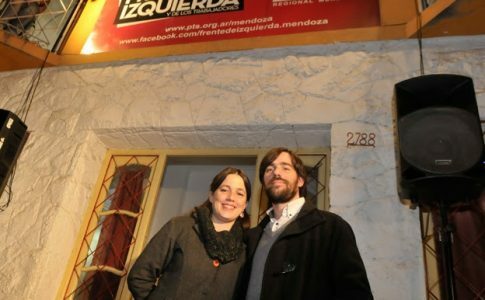 The Workers’ Revolutionary Movement (MRT, in portuguese), which publishes the online newspaper Esquerda Diario, had their first Congress from July 17-19. Of the 61 delegates, 35 belonged to the workers movement and 29 were women. One of the main debates of MRT’s Congress was the political opening to the left in light of Dilma and the PT’s (Workers’ Party, in Portuguese) government crisis. 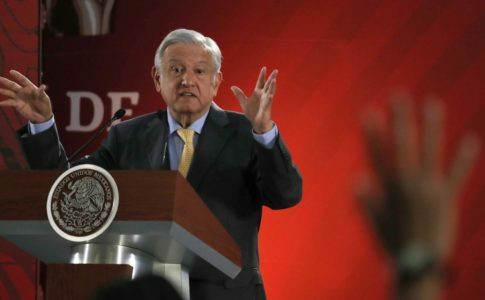 “Linked to the Chinese economic deceleration and to the trend towards the migration of foreign capital to the United States, the post-neoliberal governments of Latin America have been undermined (http://www.ft-ci.org/The-end-of-a-cycle-from-Caracas-to-Buenos-Aires?lang=en). Youth and workers increase their struggle in several different countries, such as the Brazilian protests of June 2013, or the four days of Argentinian general strike during Kirchners’ government, along with Chilean students and port workers struggles. The aspirations generated by gradualism, are confronting structural limits in each country. The attempts to cut and detract from workers’ and youth’s advances face important processes of resistance. The policy of economic adjustment during Dilma’s second term, the increase in recessionary trends, the corruption scandals tied to the government- in particular to PT- and the recent strikes situate Brazil as the most unstable and dynamic country in Latin America. However, in neighbouring countries, the undermining of post-neoliberal governments has been followed by the strengthening of the right-wing. In Brazil, we have seen the PT crisis intensifying at the same time that the right wing PSDB is strengthened. As a result, in the last elections, the electoral weakness of PT was been followed by an important restructuring of PSDB and the strengthening a reacionary and right-wing Congress. This electoral trend translated into massive right-wing led protests in the beginning of 2015, as well as government cuts. It also led to the creation of reactionary laws, such as the reduction of the age of criminal responsibility and one that strengthens sub-contracting,. The ebb in right wing protests and the PT governmentt’s need to camouflage its cuts demonstrate a correlation of forces created after the mass protests of June 2013. However, if the working class and the youth are defeated in the class struggle processes that are in process, the PT’s crisis might be capitalized on by the right-wing. 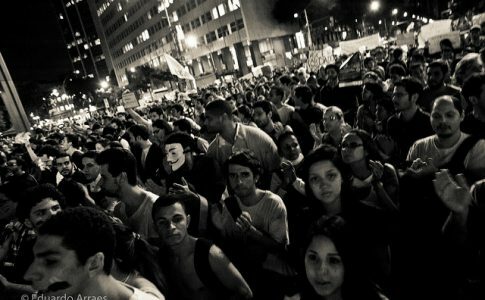 Under those circumstances, we consider that the 1.6 million votes received by Luciana Genro in the presidential elections of 2014 represent part of the progressive aspirations of the working class and the youth that staged the demonstrations of June and the 2014 wave of strikes. This trend was demonstrated by the electoral growth of PSOL in many cities with large concentrations of workers. Around the country, the PT has been weakened in worker-heavy cities that it historically occupied, with the PSDB absorbing a major part of this decline. We consider that this electoral result situates PSOL as a party that can increasingly represent an important part of the mass trend that will be developed on the left- wing of the PT’s crisis. Based on this characterization and the fact that PSOL defines itself as a broad party with freedom of fractions ,MRT (ex-LERQI) has begun a discussion about the possibility of entering PSOL as an internal fraction. We do this despite havnig disagreements with all the internal fractions. We would enter PSOL to defend our revolutionary ideas and to be part of the progressive political process in which PSOL will be very important. Once this letter was read, the opening session reported to the plenary PSOL’s National Executive Commite’s official answer, which was provided at a meeting with representatives of MRT’s Central Committee on July 15th. 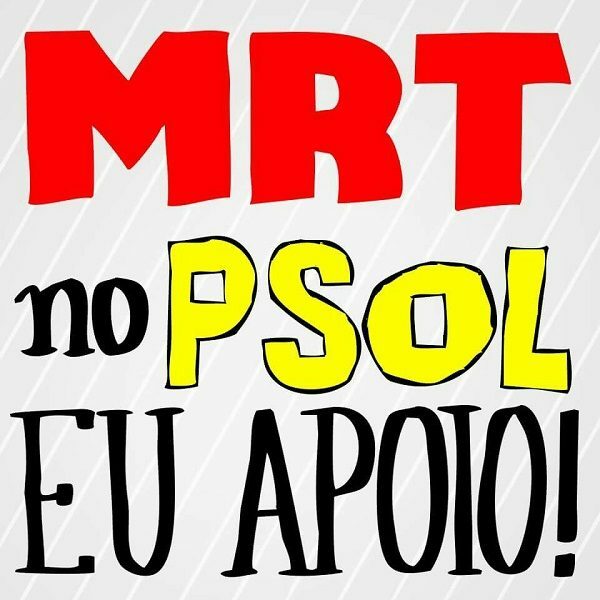 Comrades of Insurgency (Insurgência, in portuguese), Socialist Popular Action (APS, Ação Popular Socialista, in portuguese) and Socialist Left-wing Movement (MES, Movimento de Esquerda Socialista), PSOL internal fractions, informed us that MRT’s entrance as another internal fraction of the party would be impossible until March or April of 2016. Furthermore, even at this date MRT’s entrance would be contigent on MRT’s acceptance of the programme which PSOL will approve at its Congress in December of 2015. The comrades also stated that despite the final resolution regaurding MRT’s enterance as an internal fraction in PSOL, the party will alllow MRT candidates to run under the party name, expressing our own ideas in the municipal elections of 2016. The vast majority of the delegates considered PSOL’s position contradictory based on the dynamical political situation in Brazil and the urgent necessity of building a political alternative that can prevent the PT crisis from being capitalized on by the right-wing. Various delegates also considered that answer contradictory based on PSOL’s intention of developing itself as a broad party, open to all anti-capitalist fractions. Marcelo Pablito, director of theo Universidade de São Paulo’s Workers Union (Sintusp, Sindicato dos Trabalhadores da USP), defended MRT’s participation in the programmatic debate at the PSOL Congress. It would be wrong for an internal fraction to only be able to defend their point of view after the program was approved. Leandro Lanfredi, oil worker from Rio de Janeiro, affirmed that this attitude from PSOL doesn’t help open important debates with the workers, women and youth about how the left-wing should prevent the PT crisis from being capitalized by the right-wing. Flávia Vale, teacher from Minas Gerais, stressed the successes of FIT (Front of Left-Wing and Workers, in spanish)that demonstrates the viability of a strategy of class independence that takes root in working class. FIT should be a project that is held up as an alternative to projects like Syriza in Greece, or Podemos in Spain. Diana Assunção, also a Sintusp director, highlighted that PSOL should be opened to MRT, as well as to any organization that puts forth revolutionary ideas and wishes to join forces to prevent the PT crisis from being capitalized by the right-wing. This would be a coherent perspective for a party organized with freedom of tendencies and which hadn’t put limits on the entrance of any other organization thus far. At the end of debates, the MRT Congress approved the proposal of MRT to constitute itself as an internal fracion of PSOL, with only two votes against it. At the same time, it called on PSOL’s leadership asking them to reconsider their July 15 decision.